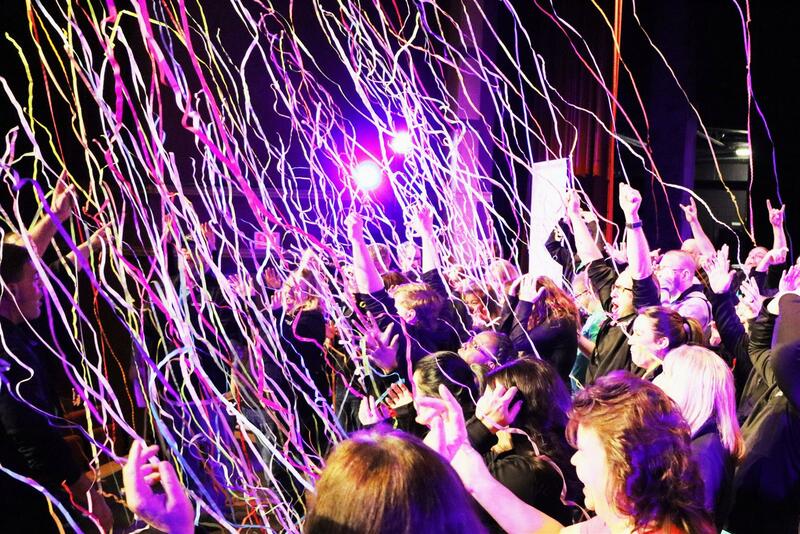 - It's Time to Say Hello to Our Fourth Quarter WOW Champs! Say hello to our last WOW Champs of 2018! 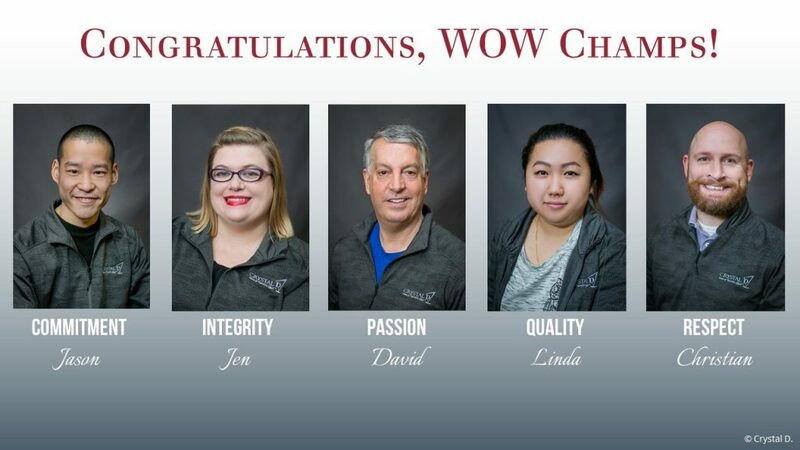 On Wednesday, we announced our fourth quarter WOW Champs, and we’re excited to share the winners with you! Every quarter, five people are chosen as WOW Champs. These people are nominated by their peers for best representing one of our five core values. Once the nominations are all gathered up, managers meet to discuss who best embodies each value. Then at our company meeting, Chuck says a few words about each person and how they exemplified that value. 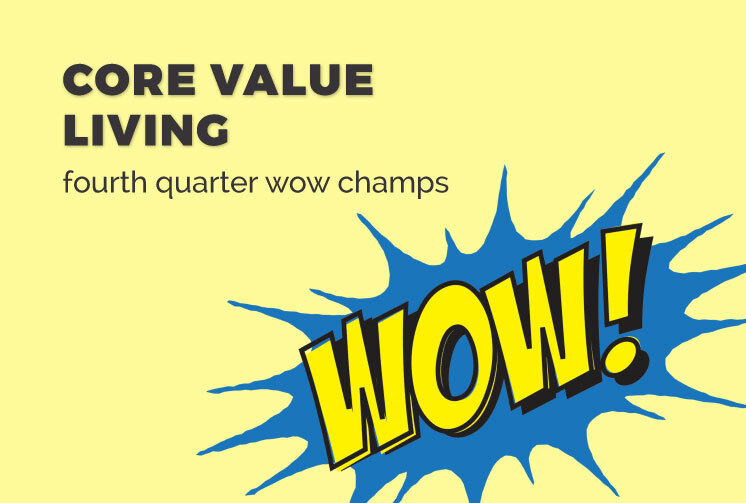 Only quarterly WOW Champs are eligible to become a Value Champ, so being a WOW Champ is one step closer to that goal. 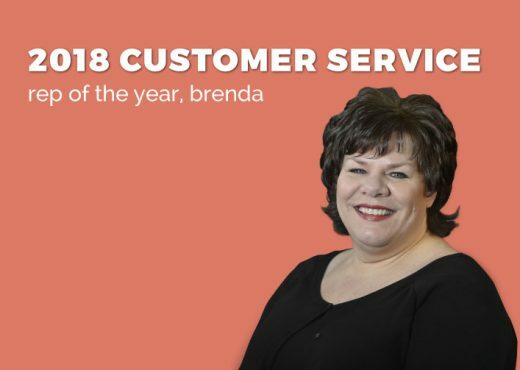 It allows us to recognize our employees throughout the year, and it helps them stay engaged with their work. We get so excited for the winners. It shows how much we appreciate them. I also love the fact that we nominate our peers. 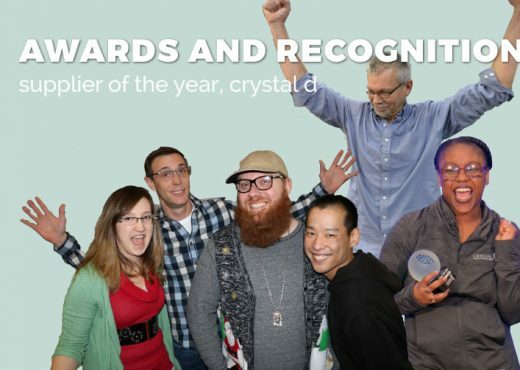 While an award from a manager or c-suite is always really awesome, it’s pretty cool to know that your coworkers think you deserve an award too. So without further ado, I’m happy to announce our 2018 Fourth Quarter WOW Champs! Want to help us celebrate our winners? Leave them a comment! And don’t forget to check back in February to learn who our newest Value Champions are! 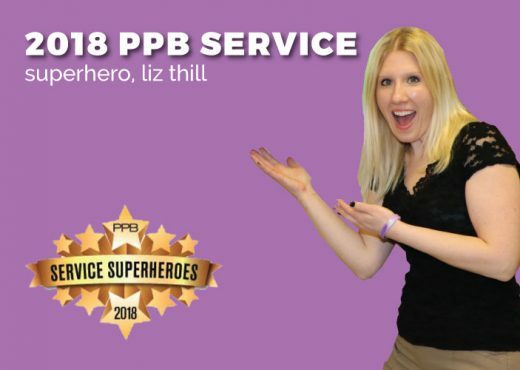 Meet Liz, Our PPB Service Superhero!